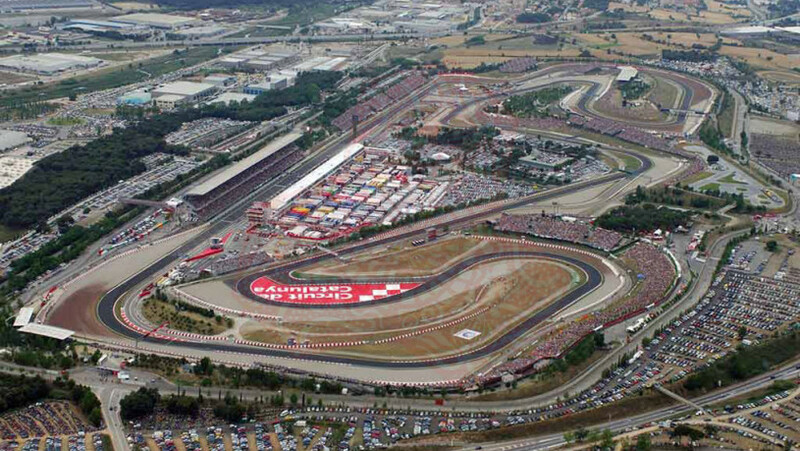 Formula One is home to Europe this weekend, with the now traditional opener of this phase of the season at the CIRCUIT DE BARCELONA-CATALUNYA (formerly known as just just the Circuit de Catalunya). Following on from the last 4 flyaway events, Barcelona’a race is set to be the 1st time any significant upgrades are made to the 2015 cars due to the proximity of the track to the majority of the teams’ bases. The competing teams are as familiar with the CIRCUIT DE BARCELONA-CATALUNYA as tourists are of the attraction of La Rambla and the local tapas bars. Already having been there twice this year for testing, as the circuit is a good overall examination of a vehicle’s capabilities. With Lewis Hamilton of Mercedes an incredible 27 points ahead of his nearest opponent after just four races, a win for anybody else in the forthcoming in this weekends race could add some much needed competition in this years season. Defending champion Hamilton won in 2014 and is favorite to win again in 2015 but its not a sure thing: Nico Rosberg has driven impressively at the CIRCUIT DE BARCELONA-CATALUNYA as has Kimi Raikkonen who holds the lap record of 1:21.670 which he made in 2008 with Ferrari. The Finnish National is on a high after finishing secong in the Bahrain Grand Prix and will be eager to keep the momentum going. This is also of course the home race of Fernando Alonso and he has always put up a good fight here winning with Renault in 2006 and once again in 2013 whilst driving for Ferrari. Those days could be considered far behind him though and his current team McLaren are yet to pick up a single point in the previous four races. 2014 result: 1. Lewis Hamilton (Mercedes); 2. Nico Rosberg (Mercedes); 3. Daniel Ricciardo (Red Bull); 4. Sebastian Vettel (Red Bull); 5. Valtteri Bottas (Williams); 6. Fernando Alonso (Ferrari); 7. Kimi Raikkonen (Ferrari); 8. Romain Grosjean (Lotus); 9. Sergio Perez (Force India); 10. Nico Hulkenberg (Force India). Last five winners in Spain: 2014: Lewis Hamilton (Mercedes); 2013: Fernando Alonso (Ferrari); 2012: Pastor Maldonado (Williams); 2011: Sebastian Vettel (Red Bull); 2010: Mark Webber (Red Bull).